Transformation. Details make the difference. Enjoy the advantages of automation. Transform your production line and your bottom line. 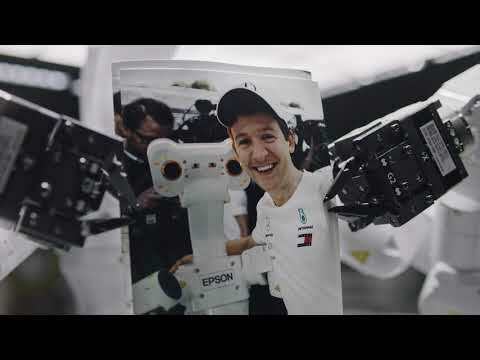 Find out more about Epson Robot - the hero responsible for manufacturing many of our daily products! In any industry, the Epson robotic solution can be customised down to the last detail, to meet your business needs. 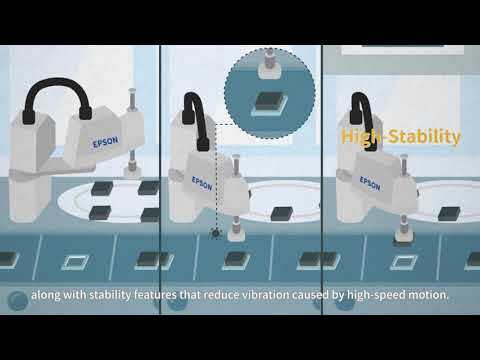 Epson N2 compact 6-axis robots have a unique, patented folding arm technology which allows them to work in extremely compact spaces with superior efficiency of motion. Ideal, for instance, for small electronic parts and medical devices assembly. C8 robots can do jobs that other small 6-axis arms simply cannot – handling payloads of up to 8kg while maintaining fast speeds and cycle times, and eliminating vibration, on a compact footprint. Serving everything from automotive and aerospace, to medical, electronics, semiconductor, food and other industries. An automotive supplier reduced the number of shipments containing defective parts, and raised customer satisfaction with their service, by using an automated inspect and pack-out cell equipped with an Epson TT8800 robot and a simple pneumatic gripper. A large English commercial bakery that decorates cakes with written messages was finding it hard to scale flexibly to meet consumer festive demand – until they used a customised Epson SCARA robotic cake decorating cell to solve the problem. Pharmaceutical companies must do extensive testing on inhalers, to ensure accurate dosing – but human error can be a problem. Enter Epson robotics, enabling a 500% increase in testing throughput, 97% reduction in cost per test, and improved safety in an environment that could contain volatile solvents. Epson supplied a comprehensive solution for a complex line production that could be controlled from a single industry-standard software environment. Using Epson robots for complex tasks and the standard robot controllers to control the peripheral, production rates soared nearly 300%.